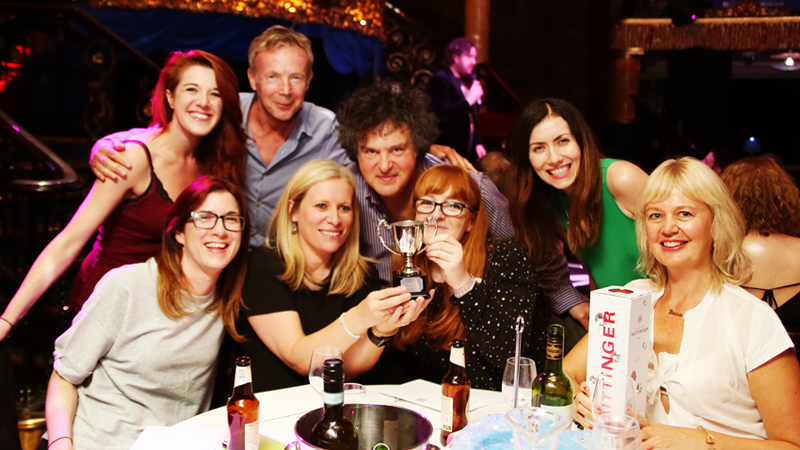 The image of Phil Edgar-Jones in a dress and lipstick is one that remains with us, but he, and many other sporting TV execs made last year’s fundraising ‘We Love TV Quiz’ an unforgettable experience. In addition to our Ru Paul’s Drag Race special, the night saw companies including So Television’s ‘So Solid Crew’ & Disney’s ‘Mousketeers’ demonstrate their TV knowledge to battle it out for top prize. And now we are back, (in a brand-new location!) for our annual event, which raises money for the Festival’s two schemes, Ones to Watch and The Network, as well as our New Voice Awards and year round outreach activity. If you consider yourself something of a TV buff – and enjoy booze-fuelled challenges – get your team and come join us on Thursday 9th May at Proud Embankment. 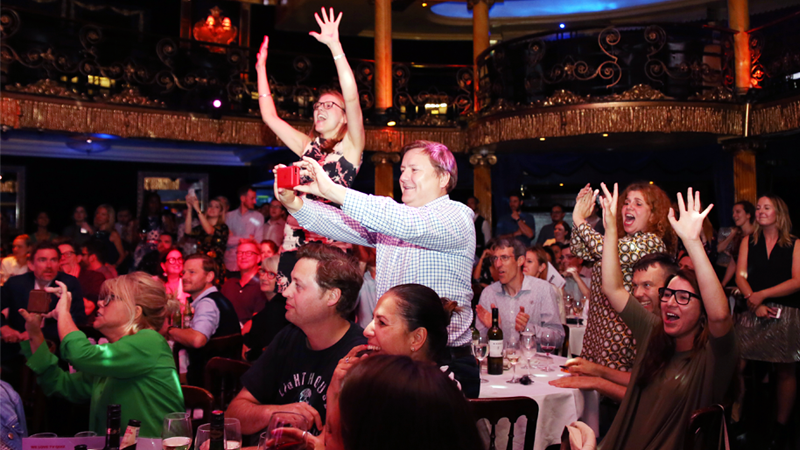 Each table seats up to eight people, and includes a selection of food, beer and wine, on top of a night of wildly competitive entertainment complete with after-party. So gather together your wiliest colleagues and secure your place at the We Love TV Quiz today. Don’t have a big enough team? Then fret not, our rate of £500 + VAT is for half a table (4 seats). Email bianca.newby@thetvfestival.com to enquire for 4 seats. Get in touch should you require an invoice. Please note that payment via invoice will incur a 4% booking fee and payment must be made 10 working days after the booking. Failure to do so can result in the release of your table. The final booking date for payment via invoice is Friday 3rd May.